The use of Internet of Things devices in the classroom can have major educational benefits and appeal to both genders if designed and used in the right way. To do this the researchers, led by Dr. Jim Ang and Ph.D. student Pruet Putjorn, developed a bespoke IoET platform called OBSY (Observation Learning System) that featured several components, such as a light reader and temperate monitor, which could then send data wirelessly to tablet computers the children had already been provided with by the Thai government. The OBSY device was designed to be as ‘friendly’ looking as possible, akin to a toy, to encourage curiosity in children as prior research had shown more typical-looking technological devices put children off and created learning anxieties. 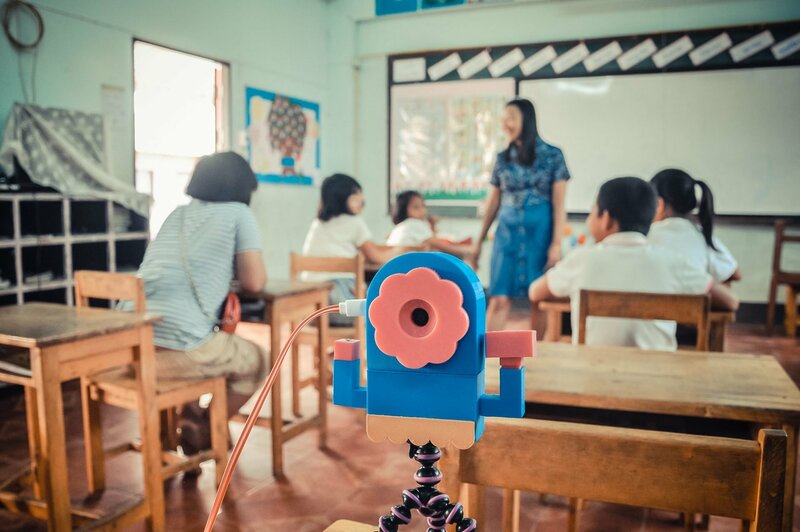 The paper, titled “Investigating the use of sensor-based IoET to facilitate learning for children in rural Thailand,” has been published in the journal PLOS One.